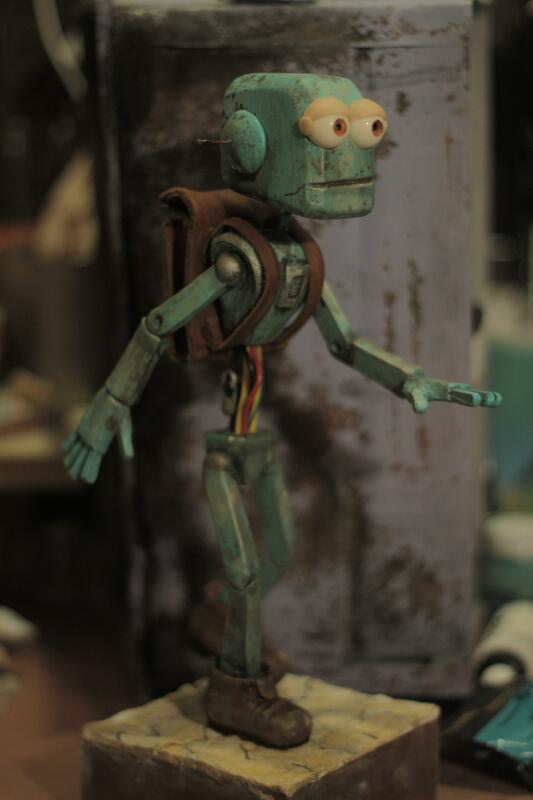 Harvard is a robot I'm making for a stop motion short. He was hand sculpted in chavant then cast in wax for detail work. From there he was re-cast in resin. Painting was a multi step process. 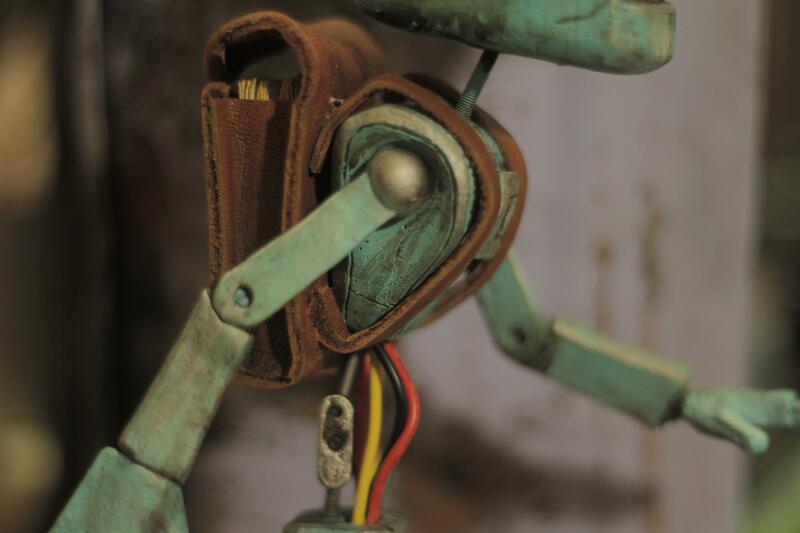 Rust layer, paint color, then weathering. The backpack was hand made with leather. The short is a re-imagining of a 2004 CG short I did. Very cool! 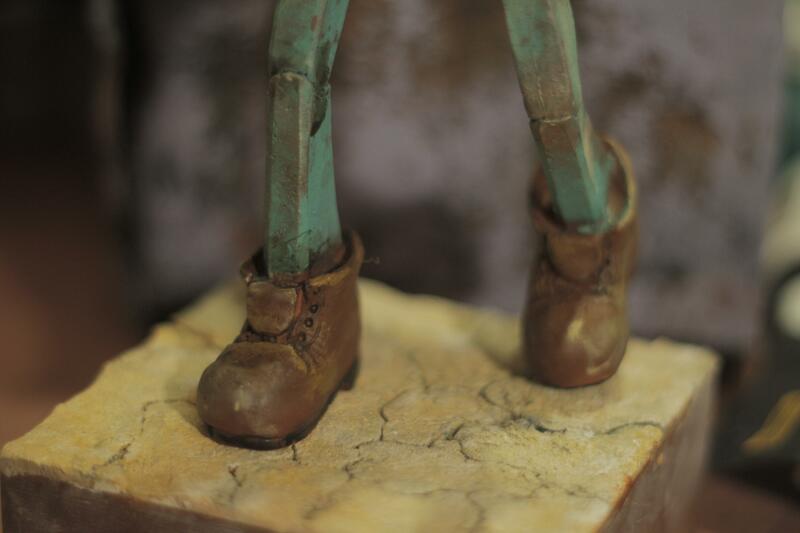 I hope you can share more form the stop motion short with us in the future. Very cool man, love the Animated short, can't wait to see it practical!